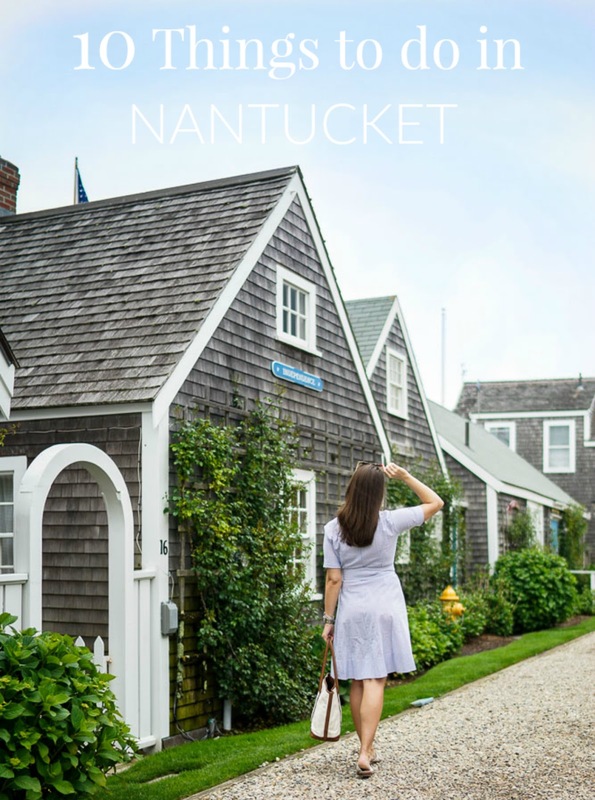 Excited to be bringing you a semi-condensed travel guide to Nantucket. I wanted to try and make this a little more fun and to the point than normal travel guides by sharing my absolute MUST dos on the island. In the summer or on quick weekend vacations, you have to make the most of your time and I hope this will help!! 1. Cisco Brewery (see past blog post HERE) - This is by far my favorite place on the island to spend a day. They welcome everyone (even kids and pets) but it's best for anyone who likes to eat, drink and listen to music. It was even the place I had my first ever lobster roll! Aside from the fun atmosphere, there is some really great food vendors like the Lobster Trap, Millies and 167 Raw Bar. 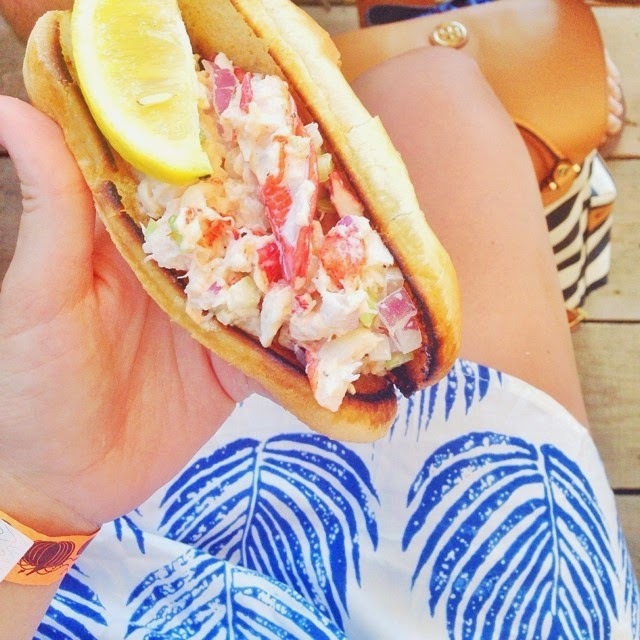 I always get the lobster roll and fries from the Lobster Trap and a dozen oysters from the raw bar! 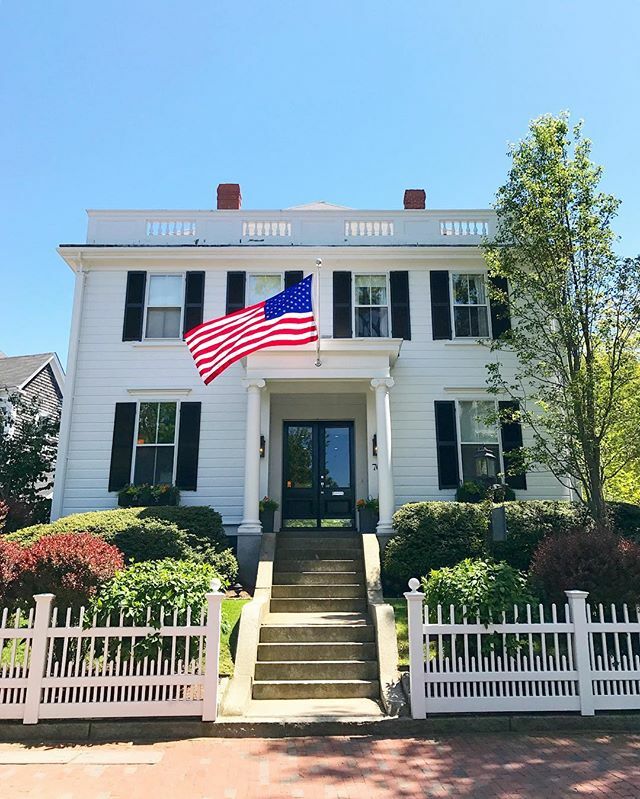 As for drinks, there are three different houses on site that serve beer (Cisco Brewers), wine (Nantucket Vineyard) and mixed drinks (Triple Eight Distillery). Andrew loves the beer and my go-to is the Bloody Mary. It's seriously the best I've ever had! I even bought their mix to take home with me! Getting there from town is really easy. You can drive, bike or shuttle (for free)! 2. 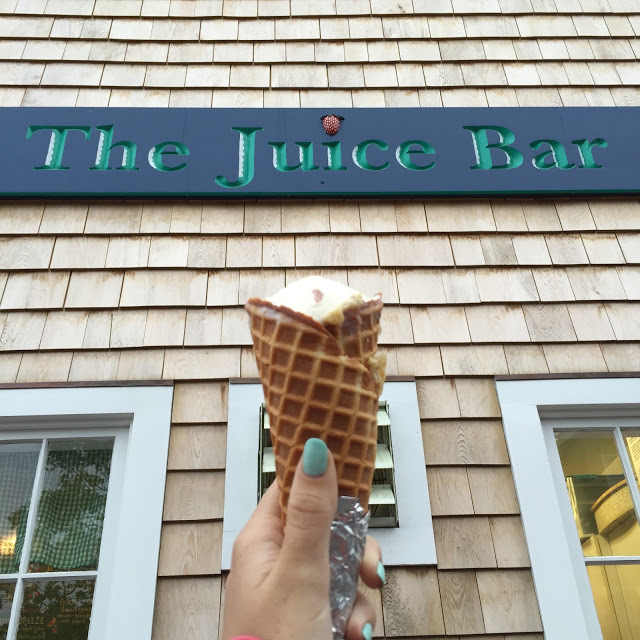 The Juice Bar - Don't let the name fool you, this is the best ice cream shop in the whole wide world. They have homemade ice cream and to-die-for waffle cones. This is coming from a girl who doesn't even really like ice cream that much! Andrew (who is the opposite of me in terms of liking ice cream) says it's his favorite place he's ever been to (and that is really saying something)! 3. 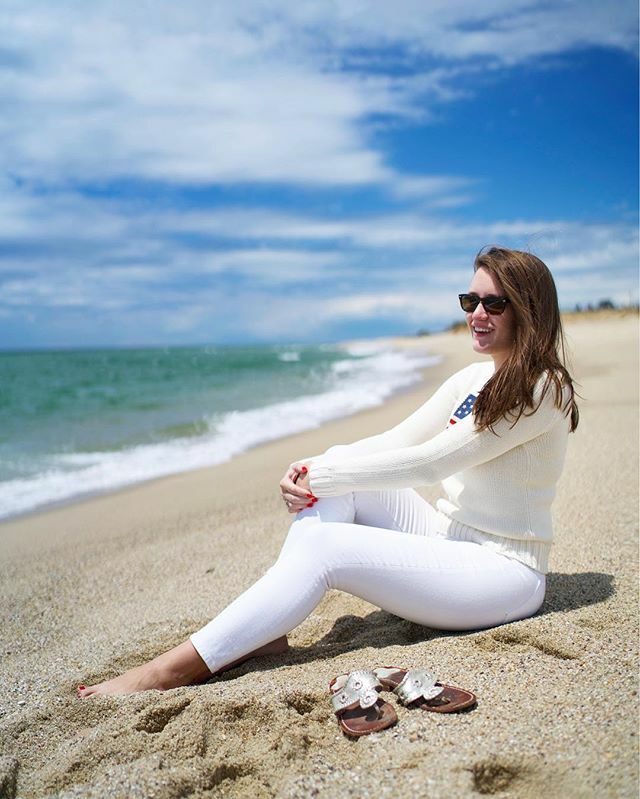 Cisco Beach - There are a lot of beaches in Nantucket (duh) but this is far and away our favorite place on the island. Every time we go -- no matter the weather -- Cisco beach always seems to welcome us. It's known for its waves and surfing, but we enjoy it the best because it's far enough from town where it's not too crowded but close enough to bike there in 25 minutes! 4. 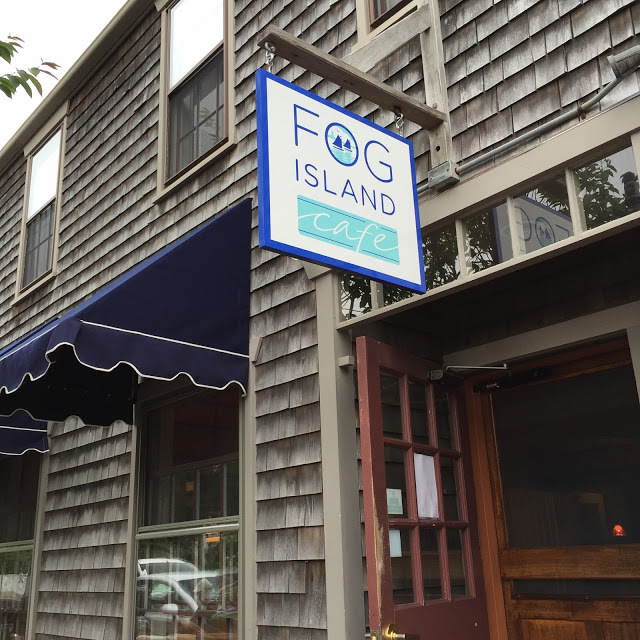 Fog Island Cafe - This is our favorite breakfast spot. We've been here every single morning we've visited the island. It's fast, delicious and cheap! It doesn't try and dazzle you or be something it's not. It's a total locally owned, town-loved breakfast spot. I always get the Eggs Benedict (I'm a creature of habit) and my plate is always licked clean! 5. Go Sailing - We did this our first year and are looking to do it again next time we go back. 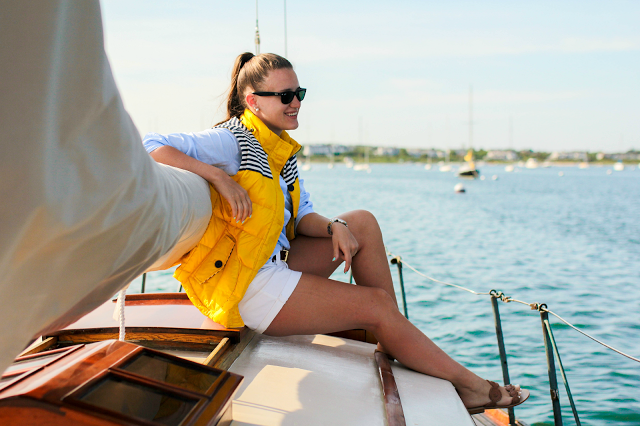 Captain Jim takes you around Nantucket sound on his beautiful sailboat for an hour and a half and it's one of the best ways to see the island. It's great for large groups or even just a couple's trip. Highly recommend!! 6. 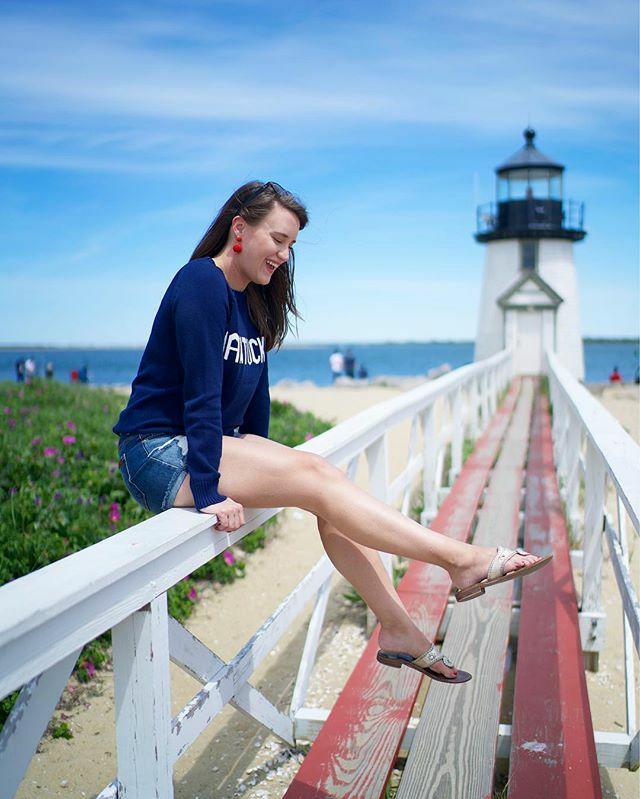 Visit the Lighthouses - Nantucket is known for all the lighthouses. There are three that are so unique in their own right: Brant Point, Sankaty Head and Great Point lighthouse. Brant Point is the first thing you see when you take the ferry onto the island. 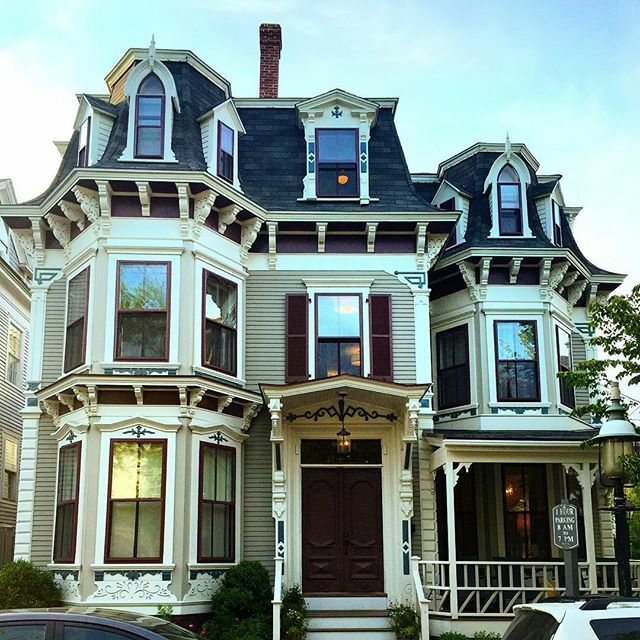 It's the main one you see depicted on Nantucket items and it's easy to walk to from town. The beach is rocky but it's really fun to sit and relax and watch the boats go by. Sankaty doesn't have much around it (other than a golf course and the water) but it has one of the best views overlooking the ocean. We've only been once on a rainy and super windy day, but I'm hoping to go back and visit again under different conditions! Great Point is a trek to get to but totally worth it. You need a car with a beach permit and to pay a toll to get onto the beach where you drive for a few miles and then walk to the lighthouse. Going there really feels like you're in the middle of nowhere, but it's such a cool experience and has some amazing sunsets! Try and make a day of it! 7. Stay at 21 Broad/76 Main - Andrew and I have had our share of hotels/boats/places to stay on the island but our favorite by far has been at the Lark properties in Nantucket. Our first hotel was 21 Broad and it -- to this day -- might be one of our favorite hotels we've stayed at in all of our travels. Both hotels are so beautifully decorated, super friendly and have some of the best breakfast snacks and cookies around! They provide everything you would ever need, aren't going to cost you an arm and a leg to stay there and are totally brand new and welcoming! I'll have a review of 76 Main later this week! 8. Rent a Bike (or Car) - Renting some sort of transportation is almost necessary if you're visiting the island just in case you want to get out of downtown and explore. For most of our visits we rented a Jeep so we could drive on the beach. BUT renting a car can get really expensive and it can be hard to find places to park overnight. On the other hand, it's so nice to be able to really get around the island without worry and it's great for rainy days! During our first, and again on our most recent trip, we stuck to bikes and it was perfect. We went to Cisco when we needed, had places to store them overnight and got the extra shockproof seats so we could try and manage riding the cobblestone streets better. Thankfully there are enough things to do downtown that you don't have to leave. But to really get a sense of the island, I suggest renting some sort of transportation! 9. Club Car - This recently just reopened for our last trip so we grabbed dinner one night and drinks the next but I absolutely fell in love with the place! The food was great, the decor was RIGHT up my alley (#goals) and the bar was so picturesque I could die. Definitely a new adventure but always a place we will go back and visit! 10. Shopping - I put this one last because you can technically shop anywhere you travel, but I really love the shops Nantucket has to offer. Many are locally owned boutiques specializing in something you never knew you needed. There are also a fair amount of well known stores so you can feel right at home. Each year I love to just stroll in and out and search for one-of-a-kind items to take home with me! And that is my top 10! Of course there are so many other amazing things to do and places to eat (oh boy are there good places to eat!!) 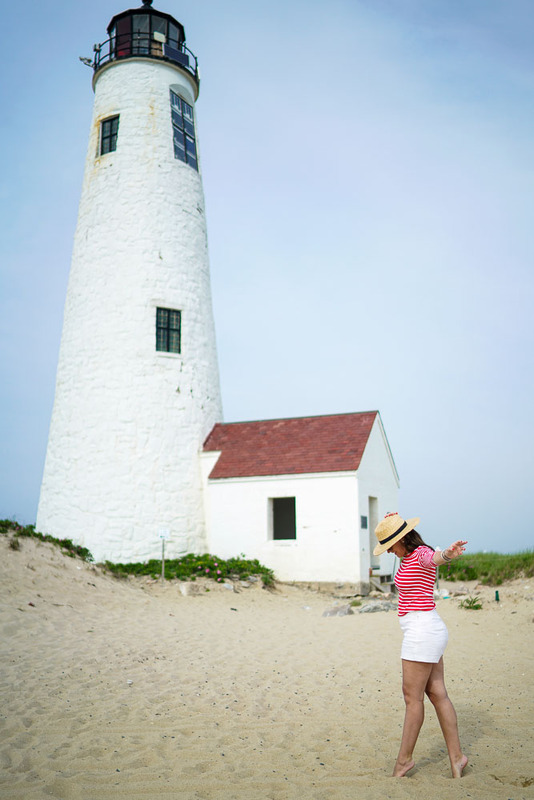 but these are my "must-do" if you're visiting Nantucket. P.S. These can be done in one weekend! Of course there is still so much we have yet to do. I feel like each passing year something else makes us go, "Why didn't we eat here?" or "Just heard of this place, let's go next time." So each new year is a different adventure for us! Have you guys ever been? I'd also love to hear your recommendations below of new places or your favorite spots. Always down to try out more things!